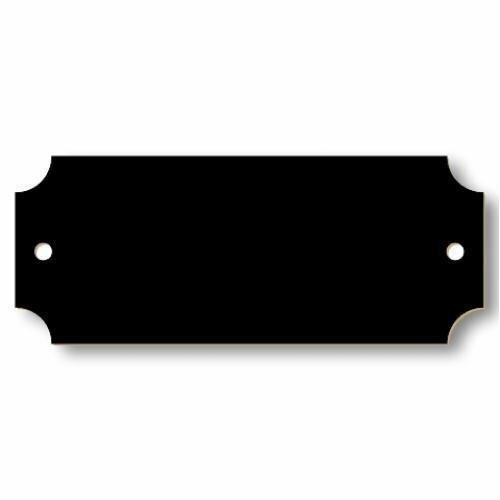 This black Brass Perpetual Plate has a gold border, concave corners and a hole on the left and right. Ther perpetual plate can be laser engraved or diamond engraved. 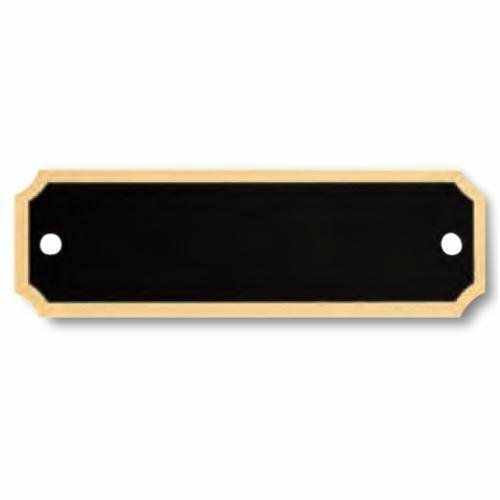 This Header Plate is made of black brass with gold borders. 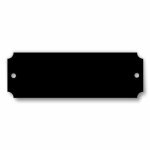 This Header Plate has a rectangular shape with concave corners and a hole on the left and right. 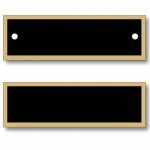 This Black Brass with Notched Gold Border is a perpetual plate. 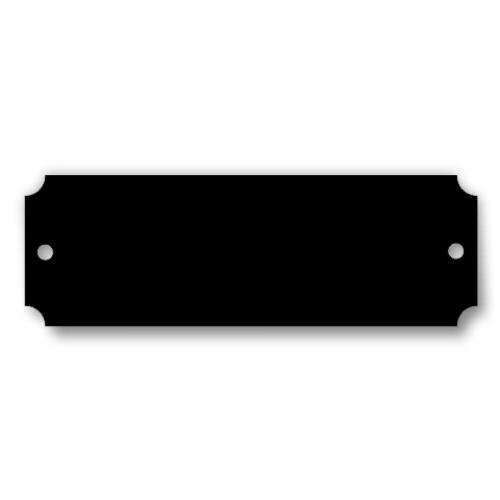 The Perpetual Plate has a rectangular shape with concave corners and a hole on the left and right. This Black Brass with Round Sides has a gold border. The Perpetual Plate has a hole on the left and right. This Black Brass with Rounded Corners is an AirFlyte perpetual plate. 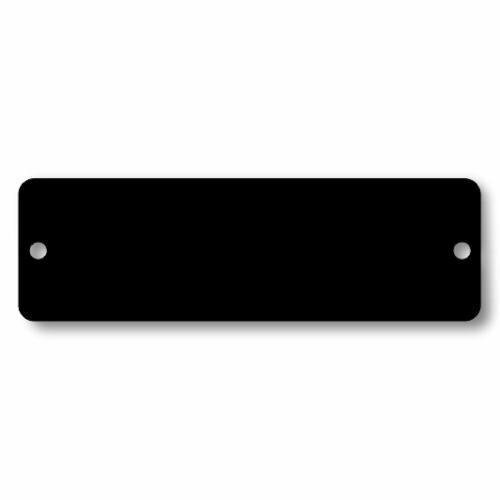 The Perpetual Plate has a rectangular shape with rounded corners and a hole on the left and right. The Blue Marble Pocket Plate is made of blue marble brass with gold borders. This Header or Perpetual Plate is a magnetic replacement plate for Recognition Plaques such as the CJ-APT225DBL. The Brass Gavel Band is diamond engraved. 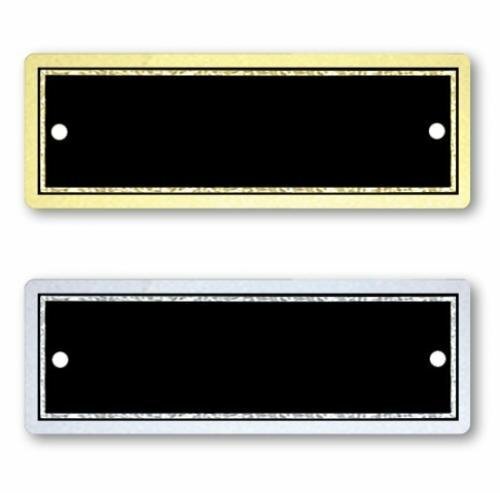 The lettering can be left as gold tone or blackened. 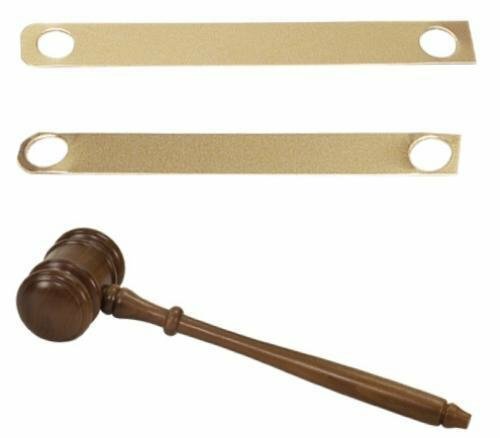 The Gavel Band is available in 2 sizes. The gavel is NOT included. 9/16" x 4 11/16" Brass Band for 8" Gavel. Engraving space: 3/8" x 3-1/8"
7/8" x 6-3/16" Brass Band for 10" Gavel. 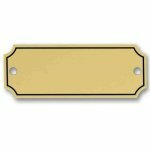 Engraving space: 13/16" x 4-5/16"
This Bright Brass Perpetual Plate is made of gold brass. 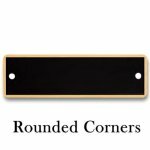 The Perpetual Plate has a rectangular shape with concave corners and a hole on the left and right. The engraving can be blackened or left natural for a tone on tone effect. 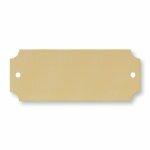 The Brass Plate with Notched Corders is a perpetual plate. 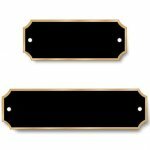 This perpetual plate has an interior black line and can be Diamond Engraved. 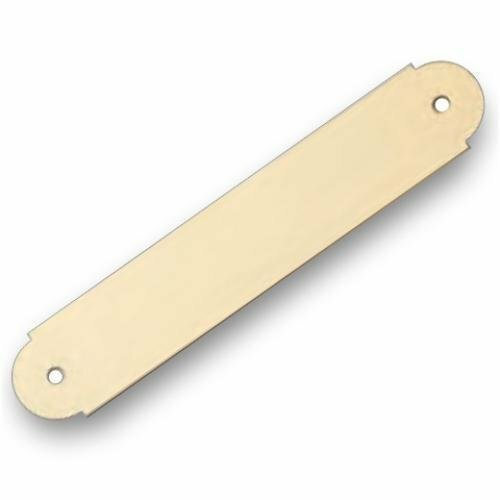 The Brass Plate with Round Sides is a perpetual plate. 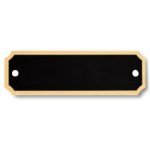 This perpetual plate has an interior black line and can be Diamond Engraved. 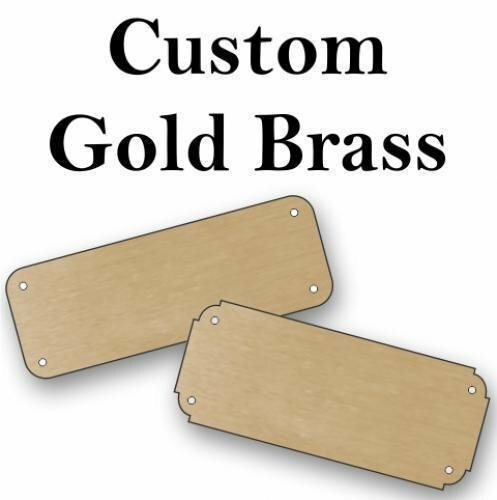 A Custom Brass Plate adds a special touch of elegance to any gift. 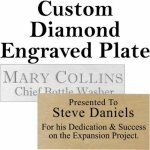 Specify your own deminsions to create a personalized diamond engraved plate that will fit your special gift, award or memorial item. 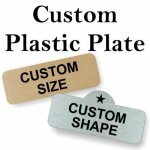 This Custom Decorative Plate adds a special touch of elegance to any gift or picture frame. The decorative plate comes in 3 heights. A Custom Diamond Engraved Plate adds a special touch of elegance to any gift. 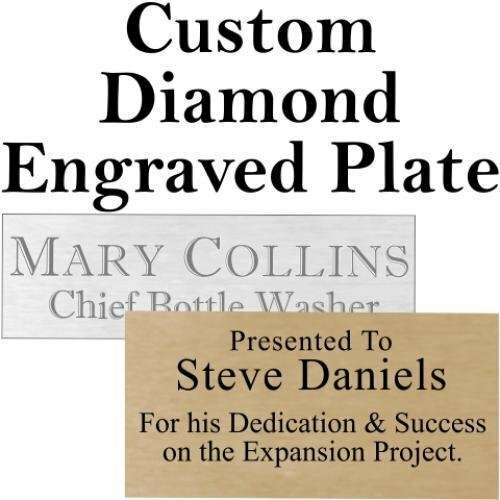 Specify your own deminsions to create a personalized diamond engraved plate that will fit your special gift, award or memorial item. 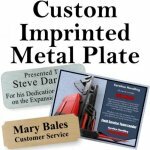 A Custom Imprinted Plate adds a special touch of elegance to any gift. 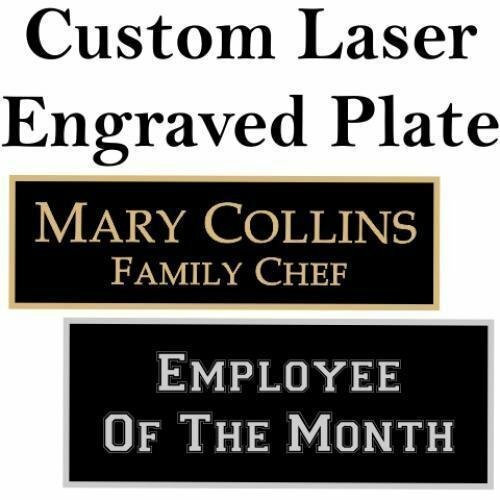 Specify your own deminsions to create a personalized laser engraved plate that will fit your special gift, award or memorial item. The marble finished brass plate will have a gold border and gold Lettering. A Custom Laser Engraved Plate adds a special touch of elegance to any gift. 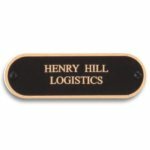 Specify your own deminsions to create a personalized laser engraved plate that will fit your special gift, award or memorial item. A Custom Plastic Engraved Plate adds a special touch of elegance to any gift. 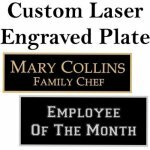 Specify your own deminsions to create a personalized laser engraved plate that will fit your special gift, award or memorial item. This Double Border Perpetual Plate is made of black brass or aluminum. The Perpetual Plate has a double and a hole on the left and right. 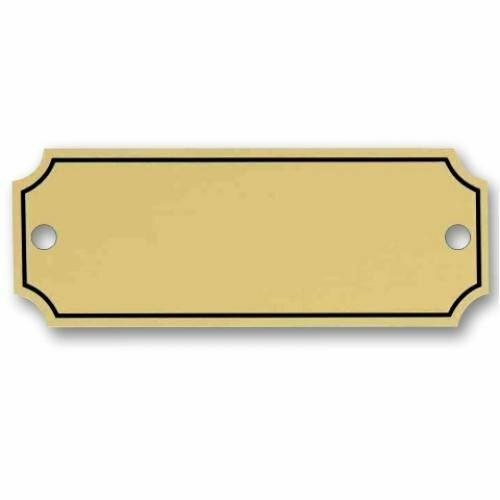 This SATIN Gold Aluminum Perpetual Plate has a bright reflective finish. 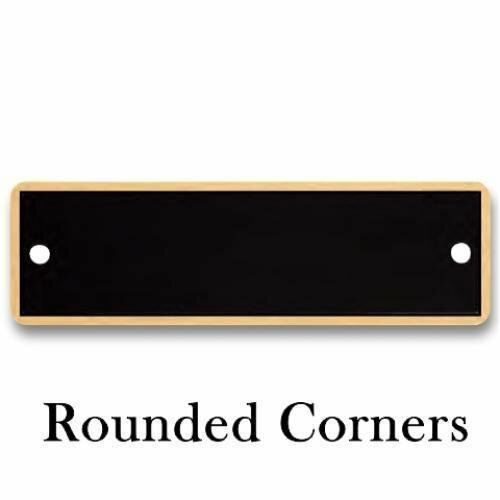 This perpetual plates has a rectangular shape with concave corners and a hole on the left and right. Aluminum perpetual plates can be personalized with with a color imprint or diamond engraved. Diamond engraving creates silver etched lettering. 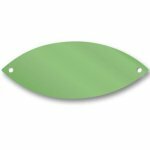 The Green Leaf Perpetual Plate looks great on a Donor Wall or as part of a Tree of Life display. We normally imprint them, but they can also be diamond engraved. This perpetual leaf plate is made of aluminum with a satin green finish.